To suggest corrections or additions to this document, please email SWalker90@AggieNetwork.com. Click on a title to jump to that section. You may also use your browser's search function (typically Ctrl-F) to search for any keyword. Media inquiries for all Association of Former Students events: Kathryn Greenwade ’88, (979) 845-7514, (979) 777-7896, KGreenwade88@AggieNetwork.com. Media inquiries for student-run Muster at Reed Arena: Helena Shakesby ’19, Student Muster Committee Chair, musterchair@gmail.com. Campus Muster at Reed Arena: muster.tamu.edu; Helena Shakesby ’19, Student Muster Committee Chair, musterchair@gmail.com; Campus Roll Call Coordinators, campusrollcall@gmail.com. Reflections Display at the MSC: tx.ag/Reflections; Lauren Kraus '19 and Emma Brackett '19, muster.reflections@gmail.com. Aggie Ring Remembrance (ceremony for enrolled A&M students who passed away since the 2018 Muster): Allie Longoria ’09, The Association of Former Students, Campus@AggieNetwork.com, (979) 845-7514. Class of 1969 50th Anniversary Reunion (honored Class for Reed Arena Muster): tx.ag/1969reunion50, The Association of Former Students Class Programs team: Freddy Rodriguez ’12, Laura Miller ’16 or Josh Reinbolt ’99, Class@AggieNetwork.com, (979) 845-7514; or the Class of 1969 Agents: Frank Farias: fxfariastxaggie69@att.net; Larry Lippke: llippke@aggienetwork.com; Harvey Schulz: aggiebear69@gmail.com; Bill Youngkin: bill@youngkinlaw.com. Live Worldwide Roll Call for the Absent (full 2019 Roll Call streamed live from the Clayton W. Williams, Jr. Alumni Center): tx.ag/here; Scot Walker ’90, The Association of Former Students, SWalker90@AggieNetwork.com, (979) 845-7514. Brazos County A&M Club Muster at the MSC: bcamc.org orcontact the club at bcamcmuster@AggieNetwork.com. 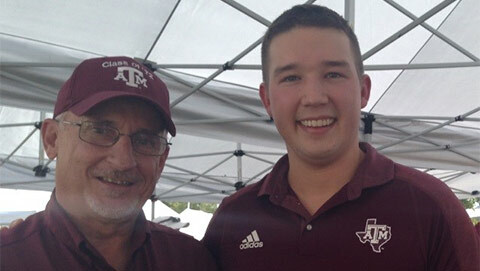 All other hometown Musters: Victoria Alexander ’19, Amy Hale ’10 or Josh Reinbolt ’99, The Association of Former Students, Muster@AggieNetwork.com, (979) 845-7514; or the local Muster organizer as shown on the list at tx.ag/findamuster. The Worldwide Roll Call includes the names of current and former students from the campuses in College Station, Galveston, Qatar, and McAllen, the Law School, and the various Health Science Center campuses whose deaths have been reported to The Association of Former Students since the previous Muster. It also includes some faculty members. The Roll Call is online at tx.ag/rollcall and is updated daily. WHICH NAMES WILL BE CALLED AT THE MUSTER IN REED ARENA? The student-run Muster, one of more than 300 local Musters held annually, has never called the names of all Aggies who passed in the past year; since soon after its inception in 1944, it has called mostly the names of enrolled students and other Aggies from the campus community. Former students who are immediate family of enrolled students. Former students who died while serving on active military duty. Current and recently retired faculty and staff. Members of the 50 Year Reunion Class who have passed away since the last Muster. Exact wording of the criteria: tx.ag/criteria. List of names to be called in Reed for 2019: tx.ag/campusmusterroll. To request that a name be added to that list, contact the student Muster Roll Call coordinators at campusrollcall@gmail.com as soon as possible. The coordinators request that information by April 19 if possible. WHERE WILL AN AGGIE’S NAME BE CALLED? Names are sent to the Muster closest to their last known address in The Association’s database; see the list at tx.ag/rollcall to see which A&M Club the name has been assigned to. If no Club is assigned, email Muster@Aggienetwork.com or call (979) 845-7514. Some Clubs only call the names of Aggies who have someone in attendance to answer for them, so let the Muster chair know you plan to attend. You can also ask that a name be added to the Roll Call at any hometown Muster you are attending. See tx.ag/whichmuster for details. CAN I REQUEST THAT A NAME BE CALLED AT A DIFFERENT MUSTER? Yes. The student-run Muster on campus only calls names that meet certain criteria (see tx.ag/criteria), but other Musters have less formalized ceremonies and usually will add names requested by attendees. Contact the local Muster chair using the info at tx.ag/findamuster, explain who will attend, and ask for the name to be added. Do this as early as possible. See tx.ag/whichmuster for more details. Email the name, Class year, date of death, and any obituary info to SilverTaps@AggieNetwork.com. The Association of Former Students manages the Worldwide Roll Call; hometown Musters pull their local Roll Calls from the master list. See tx.ag/addaname for more details. The Association of Former Students produces an annual live reading of the entire Worldwide Roll Call of about 1,700 names each April 21. (The 2018 live Worldwide Roll Call was the first time an entire annual Roll Call had been read and answered in a single location.) The live Roll Call originates from the Clayton W. Williams, Jr. Alumni Center and is live-streamed at tx.ag/here. See Section 7 for more information. The Association of Former Students produces a scrolling video roll of all the names on the Worldwide Roll Call (about 1,700 in 2018). This scroll plays onscreen at Reed Arena during Muster. It also plays in a loop throughout Muster Day on AggieNetwork.com and on the Huddleston Video Wall in the Williams Alumni Center. It will appear online at 3:21 p.m. Central time on April 20, which will be sunrise on April 21 in Sydney, Australia, home of the easternmost A&M Club. Due to the time it takes to create and process the video, the list of names to be included in the scrolling roll call must be pulled in advance. The cutoff to report a passing and have the name included in the scrolling roll is noon on April 17. WHY ARE PEOPLE WHO DIED YEARS AGO LISTED ON THIS YEAR’S ROLL CALL? The death was only recently reported and the Aggie has not been previously honored at Muster. The Association of Former Students learns of deaths when a friend or family member notifies us at SilverTaps@AggieNetwork.com. It is traditional for the names of Aggies killed in military service-related actions to be called at all Musters. When such deaths are reported, The Association of Former Students will notify the chairs of registered Musters via email. The Association will also list them separately at the top of the master Roll Call page at tx.ag/rollcall. To date, one such death has been reported since the 2018 Muster: Sgt. Charlton Franklin “Chuck” Clayton '07, a Brazos County deputy constable and county auditor, died Dec. 18, 2018, in a wreck while deployed on active duty with the U.S. Army National Guard near the U.S.-Mexico border. Clayton was a member of the Class of 2007 but graduated from Texas A&M in 2013. Registering your event will give you access to everything a Muster Chair should need—forms, poems, songs, Roll Call instructions, sample event agendas, and much more. 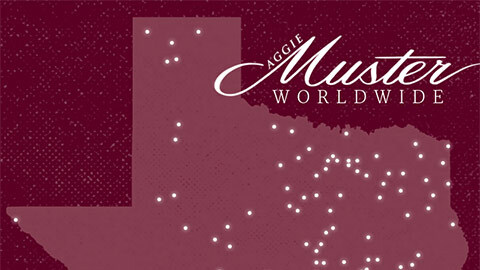 To register your event: While logged into AggieNetwork.com, go to tx.ag/hostamuster, click on “Create a New Muster” and follow the prompts. Be sure to select an affiliation in the dropdown menu, if applicable. To get the Roll Call specific to your event if you did not select an affiliation: Go to tx.ag/rollcall. If your event is registered and you are logged in, you will see the name of your event at the top of the page, next to a button that says “Muster Roll Call.” Click that button. You will then see the entire 2019 Roll Call. Click “Export Roll Call to Excel” to download the list to your computer. When you open the list, you may see a warning prompt, which is expected. Disregard it and click “Yes.” You can then sort the list as you choose and select the names to call at your event. For more detailed instructions on how to pull your roll call, please go to tx.ag/pullyourroll. The Association of Former Students maintains a database of people available to speak at local Muster ceremonies. Organizers of local Musters can access that database at tx.ag/speakersbureau after registering their event at tx.ag/hostamuster, but Muster chairs are not limited to selecting someone from that list. After your speaker is confirmed, please email your event’s speaker information to Muster@AggieNetwork.com so we can update our records. To date, one such death has been reported since the 2018 Muster: Sgt. Charlton Franklin “Chuck” Clayton ’07, a Brazos County deputy constable and county auditor, died Dec. 18, 2018, in a wreck while deployed on active duty with the U.S. Army National Guard near the U.S.-Mexico border. Clayton was a member of the Class of 2007 but graduated from Texas A&M in 2013. The Association only recently learned of this person’s passing, so he or she has not previously been honored at a Muster. We learn of deaths when a friend or family member notifies us at SilverTaps@AggieNetwork.com. HOW DO I SUBMIT MUSTER PHOTOS FOR TEXAS AGGIE MAGAZINE? Attendees or organizers can go to tx.ag/musterphotos to submit photos. Please upload the original or highest-resolution version of the image. Low-resolution images are suitable for social media but cannot be used in the magazine. Club or Muster group name. Muster chair's name and Class year. If a photo shows only a small group of people (6 or fewer), please identify everyone by name and Class year, from left to right. A brief description of the event is helpful. How many people attended? Who was the speaker? Was there a meal? Strive for a variety of candid photos. A photo of the entire group is always welcome, but we also would like to receive candid and casual photos that showcase the event or show Aggies having fun together. Share photos online afterward to show the character of your local event. Grilling on a patio or playing horseshoes? That’s the kind of good bull that could encourage someone to attend next year. Be sure to use the hashtag #AggieMuster or tag @AggieNetwork. The speaker at the student-run campus Muster is selected by the student Muster Committee. Speakers at all other Musters are selected by the local event organizers. The Association of Former Students maintains a database of people available to speak at Muster ceremonies. Organizers of local Musters can access that database at tx.ag/speakersbureau after registering their event at tx.ag/hostamuster, but Muster chairs are not limited to selecting someone from that list. To be considered for addition to the Muster Speakers Bureau, visit tx.ag/speakersbureau and fill out a speaker profile (you must be logged into AggieNetwork.com). The Association’s Former Student Programs team will review the profile and consider it for addition to the Muster Speakers Bureau. Speakers at registered local Musters can access resources provided by The Association of Former Students to help them create their speech. If you are a 2019 Muster speaker, please contact Victoria Alexander ’19 at Muster@AggieNetwork.com or (979) 845-7514 for more information. The campus Muster Committee selects a speaker to deliver the keynote address at the Muster ceremony in Reed Arena. The 2019 speaker will be Dr. Dwight A. Roblyer '84. The committee will post a short biography of the speaker at tx.ag/campusmusterspeaker. For a complete list of every speaker since the first campus Muster in 1944, visit tx.ag/campusmusterspeakers. A book released in 2018 compiles the speeches of 73 of the campus Muster keynote speakers, from 1944 to 2017. “Here”: The Muster Speeches at Texas A&M University was edited by Jerry C. Cooper ’63, retired editor of Texas Aggie magazine, and published by the Texas A&M University Press as part of the Centennial Series of The Association of Former Students. The book is available on amazon.com and tamupress.com. The student-run Muster for the campus community takes place in Reed Arena. See Section 8 for detailed information or visit muster.tamu.edu. The Brazos County A&M Club Muster takes place at the Memorial Student Center. See Section 9 for detailed information or visit bcamc.org. More than 300 other Muster ceremonies take place off campus every year. Some off-campus Musters are sponsored by local A&M Clubs. Others are organized by local volunteer Muster chairs unaffiliated with any A&M Club. Some Musters are casual get-togethers of Classmates or friends in homes or restaurants, bars or barns. A few are organized by Aggie co-workers at large companies. And some are simply spontaneous gatherings of Aggies who happen to find themselves together on or around April 21. The largest off-campus Musters draw hundreds of Aggies, yet every year, there are also Aggies who Muster in groups of just two or three. Each Muster is unique, and each is representative of its organizers and participants. Some are somber like the Muster at Reed Arena, but many are more casual. At some Musters, the attendees wear their Sunday best; at others, they are in jeans or even shorts. Some are free; others charge a fee to cover expenses or fund scholarships. Some Musters include a meal. It can be an evening event at a restaurant or bar, or a family-friendly daytime picnic. It might just be a small group gathered in someone’s backyard or kitchen. But whether simple or elaborate, formal or casual, every Muster perpetuates the essence of the Aggie Spirit. To learn what to expect at a particular event, contact the organizer listed at tx.ag/findamuster. If someone is looking for a Muster, they can simply go to tx.ag/findamuster and use the keyword search starting with city and/or state, or they can scroll the map to find a nearby Muster. This list is frequently updated with new events and additional details on existing events. Any volunteer can put together a Muster event using The Association of Former Students’ toolkit. If a Muster is not listed for a specific area on tx.ag/findamuster, or if you'd like to host your own event, visit tx.ag/hostamuster to learn more. CAN I ANSWER ‘HERE’ FOR THEM IF I AM ATTENDING A DIFFERENT MUSTER? Let the Muster chair know, as early as possible, that you will attend in person to answer “Here.” Each local Muster is different; some include a meal. You may be asked if you wish to hold a candle. You may want to ask how formal or informal the attire will be, or whether there is a cost associated with dinner. Information regarding meals, costs, and attire are often included with the event listing at tx.ag/findamuster. See also the section just above titled "What To Expect." Share photos online afterward. Be sure to use the hashtag #AggieMuster or tag @AggieNetwork. Can I watch or listen to it online? Yes. The live reading is streamed live at tx.ag/here. After the event concludes, a recorded replay is made available at the same link. Details: Until 2018, in the long and storied history of Aggie Muster, there had never been a documented occasion on which every name on an annual list of deceased former students was called in a single location. It is commonly believed that the main campus Muster once called the full annual roll, but historical records do not support that belief. In 2018, for the first time, every name on the Worldwide Roll Call for the Absent was called — and answered with "Here" — in a live reading beginning at sunrise. The live Roll Call, which will occur each year moving forward, originates from the Neely Mezzanine in the Clayton W. Williams, Jr. Alumni Center. Teams of volunteers are selected to read and answer “Here” for every name on the annual Roll Call. In 2018, that was 1,640 names. Speakers mounted on the building project audio of the Roll Call to the College Station campus, and AggieNetwork.com hosts a live stream at tx.ag/here that makes the entire reading available to the worldwide Aggie Network. It lasts about two and a half hours. After the reading concludes, a recording is made available for on-demand viewing. The list of names to be called as part of the 2019 Worldwide Roll Call can be found at tx.ag/rollcall. If you know of an Aggie who passed away since the 2018 Muster and who is not already listed at tx.ag/rollcall, please email SilverTaps@AggieNetwork.com. For more information about the live reading of the 2019 Worldwide Roll Call for the Absent, contact Scot Walker ’90 of The Association of Former Students at SWalker90@AggieNetwork.com or (979) 845-7514. Contacts: See muster.tamu.edu/contact for the names and email addresses of all of the 2019 Student Aggie Muster Committee executives. Free parking: 5 p.m. to midnight April 22 in Reed Arena lots 100A through 100F or the West Campus Parking Garage. See tx.ag/musterparkingtamu. Can I watch it on TV or online? Yes. Watch the Reed Arena Muster beginning at 7 p.m. on KAMU-TV in the Bryan-College Station area. KAMU will also livestream the event at tx.ag/kamustream and will post a replay on Youtube afterward (see tx.ag/2018CampusMusterReplay). SEATING EXCEPTION 1: Family members of the Aggies whose names are being called at Reed Arena should email campusrollcall@gmail.com for seating information. SEATING EXCEPTION 2: The Class of 1969, as the honored Class, has special seating arrangements. Inquiries from a ’69 Classmate or Reunion guest should be directed to The Association’s Class Programs team: Freddy Rodriguez ’12, Laura Miller ’16 or Josh Reinbolt ’99, Class@AggieNetwork.com, (979) 845-7514. The student-run Muster, one of more than 300 Musters held annually, has never called the names of all Aggies who passed in the past year; since soon after its inception in 1944, it has called mostly the names of enrolled students and other Aggies from the campus community. Members of the 50 Year Reunion Class who pave passed away since the last Muster. To request that a name be added to that list, contact the student Muster Roll Call coordinators at campusrollcall@gmail.com by as soon as possible. The coordinators request that information by April 19 if possible. What: The Muster Camaraderie BBQ is held every year in conjunction with Muster to unite Aggies in friendship, fellowship, and fun. Current students and members of the 50th Anniversary Reunion Class of 1969 will mingle with other Aggies, faculty, staff, and families of Muster honorees. The event includes brisket, sausage, and sides, as well appearances by the Fish Drill Team, the Femmatas, the Aggie Wranglers and the Yell Leaders. When & Where: Date, time and location are yet to be announced. Ticket Information: Has not yet been made available by Student Muster Committee. Contact: Sidney Watts ’19, Reunion Class Operations Executive, aggiemusterbbq@gmail.com. What: Family members of those named on the Reed Arena Roll Call can submit photographs, letters, or other personal items for temporary display in the MSC Flag Room as a living memorial. When: April 16-22, during the hours the MSC is open. To submit items: Contact the Reflections Display Chairs, Lauren Kraus '’19 and Emma Bracket ’19, at muster.reflections@gmail.com. Deadline for items to be received by mail is April 13; families can also hand-deliver items during the week leading up to Muster. What: An event put on by The Association of Former Students for the families of the Aggies on the Roll Call who died while enrolled at Texas A&M. When: 1:30-2:30 p.m. April 22, 2019. Free parking: Available in the Alumni Center parking lot. Invitations to the 2019 ceremony will be mailed in mid-March. Families are asked to contact Allie Longoria ’09 indicating attendance. Aggie Ring Remembrance was first held in 2000. Originally, it was only for the families of those students who died while enrolled and who had not received an Aggie Ring. In 2008, the eligibility was modified to include the families of all Aggies who died while enrolled, even if that student had already received his or her Aggie Ring. Students are honored if they died while enrolled at College Station, Galveston, McAllen, Qatar, the Law School, or the various Health Science Center campuses. Families receive a wooden display box lined with maroon velvet. Inside are an engraved medallion and an Aggie Ring crest with the deceased student’s Class year. In cases of split families, a piece can be provided to each family unit. The Aggie Ring Remembrance program includes remarks from the Chair of the Board of The Association of Former Students, the campus Muster speaker, and the student body president. Aggie Ring Remembrance is always held on the day of campus Muster at a time that complements other scheduled family activities for that day. Family members can bring as few or as many people to the event as they wish. The 50th Anniversary Reunion Class is the honored Class each year at the student-run Muster in Reed Arena. The Classmates have reserved seating on the floor of the arena, and the names of former students from that Class who passed away in the preceding year are called on the campus Muster Roll Call. Attendance at the campus Muster is just one of many events during the 50th Anniversary Reunion, which stretches over four days and includes Class business meetings, updates from Association and university leaders, tours of campus, a class photo, pictures with Reveille, and the Camaraderie BBQ with current students. Like all Class Reunions, the Class of 1969’s 50th Anniversary Reunion is sponsored, hosted and organized by The Association of Former Students in conjunction with the Class Agents. The Class of 1969 60th Anniversary Reunion runs April 21-24. Full schedule of events and registration information can be found at tx.ag/1969reunion50. The Class of 1969 Agents: Frank Farias: fxfariastxaggie69@att.net; Larry Lippke: llippke@aggienetwork.com; Harvey Schulz: aggiebear69@gmail.com; Bill Youngkin: bill@youngkinlaw.com. The event will take place 6-9 p.m. April 21 in the MSC’s Bethancourt Ballrooms. Tickets are $25, and only 750 are available. No assigned or reserved seats are available; all seating is first come, first served. More details: tx.ag/BCAMCMuster. WHAT NAMES ARE CALLED AT THE BCAMC MUSTER? The BCAMC Muster calls the names of Brazos County residents who died in the past year, and those of any former students who died while deployed on active military duty. And, like other hometown Musters, the Club also makes every effort to include names requested by those who attend. Visit BCAMC.org or contact the club at bcamcmuster@AggieNetwork.com. 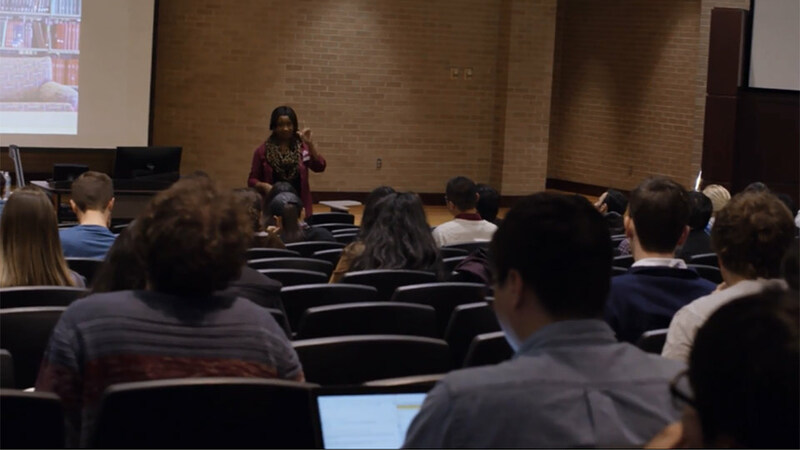 On April 21, 2018, The Association of Former Students released the documentary film Aggie Muster. Aggie Muster tells the story of Texas A&M’s most hallowed tradition. Learn the origin of Muster and trace its roots all the way back to the war for Texas independence. Learn the true story behind the famous photo taken on the island of Corregidor, and honor the 20,000 Aggie heroes who served during World War II. 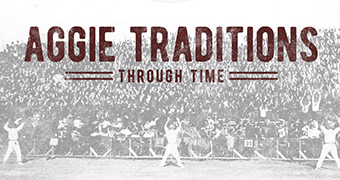 Watch the modern Muster process come together in the celebration of the Aggie Spirit that we know and love today. Aggie Muster is the third feature documentary film by The Association of Former Students. In Aggies: The True Story of Texas A&M, we told the history of “the school we think so grand.” In The Corps: Keepers of the Spirit, we went behind the scenes of the world-renowned Texas A&M University Corps of Cadets program to show how they build leaders from Freshman Orientation Week to Final Review. All three movies, plus the 1943 classic We’ve Never Been Licked, are available for purchase at www.tamuvideo.com. A 2018 book compiles the speeches of 73 of the campus Muster keynote speakers from 1944 to 2017. “Here”: The Muster Speeches at Texas A&M University was edited by Jerry C. Cooper ’63, retired editor of Texas Aggie magazine, and published by the Texas A&M University Press as part of the Centennial Series of The Association of Former Students. The book is available on amazon.com and tamupress.com. The Association of Former Students maintains an exhibit on the Neely Mezzanine in the Clayton W. Williams, Jr. Alumni Center that features the history and spirit of Muster. The exhibit has occasionally included the A&M flag that Aggie servicemen made from bedsheets in 1946 to fly during the Victory Muster at Corregidor, as seen in the iconic photo (tx.ag/Corregidor). The exhibit also includes the Corregidor Aggie Ring Collection, which features Aggie Rings that belonged to men who were at Corregidor from 1942 to 1946. So far, 33 such Aggie Rings have been donated to the Corregidor Aggie Ring Collection, which is on display on the Neely Mezzanine as part of The Association’s Muster exhibit. The Corregidor Aggie Ring Collection is one of several collections of Aggie Rings maintained by The Association and housed at the Alumni Center. See tx.ag/ringcollections. On Muster Day of 2015, a memorial was dedicated on the island of Corregidor in honor of the Aggies who Mustered there in 1942 and 1946, along with all Aggies who defended Corregidor and Bataan during World War II. Using a series of four panels, the monument list nearly 200 names. Simple in design, the monument represents the sacrifice, bravery and Spirit of those Aggies. The Class of 1995 presented a Muster Sculpture to the university as one of its Class gifts. Rodney Culver Hill, an A&M architecture professor, designed the monument, which was completed in 2000. It sits in Academic Plaza across from the Silver Taps monument. The first annual gathering of Aggies was June 26, 1883. By 1903, this annual gathering evolved into a celebration of Texas Independence on San Jacinto Day, April 21. A roll of alumni in attendance was called. In 1922, April 21 became the official day of events for this annual Aggie reunion. In the 1920s, some San Jacinto Day gatherings on campus included a roll call of former students known to have passed away. In 1942, the famous Muster at Corregidor took place during World War II, in the form of a list of Aggies alive on the island. In 1943, the term Aggie Muster was coined by E.E. McQuillen, Class of 1920. In 1944, the first student Muster on campus took place; E.E. McQuillen was the speaker. In 1945, just eight weeks after Corregidor was recaptured, three Aggies conducted a Muster there. In 1946, 128 Aggies visited Corregidor and Mustered in honor of the Aggies from the 1942 Muster. As the small island of Corregidor in the Philippines continued to be pummeled by artillery shells from Japanese planes, the only safe spot for American soldiers was the bombproof Malinta Tunnel. On April 21, Brig. Gen. George F. Moore, Class of 1908, asked another Aggie, Maj. Tom Dooley ’35, if they could get a list of the Aggies fighting at Corregidor. There were 27 Aggies on Corregidor that day. "So, we had a roll call, and a muster is a roll call," Dooley was quoted as saying. He sent word to one of the news correspondents reporting from the island, and the reporter wired the story back to the states. The Aggies could not physically gather because of the shelling, but the article encouraged a war-weary nation. The story of Muster was told across the country, which solidified one of the most meaningful traditions we have. A couple weeks later, the Aggies were killed or taken prisoner when Corregidor fell to the Japanese. With the war won and the Philippines liberated in 1945, another duty remained: return to Corregidor to Muster in honor of the Aggies of 1942.